Combining a new sound with funky songs, GO CRAZY is a must for your kids' collection or kids' ministry! The manuals accompanying the CD offer creative ideas for lesson presentation, including icebreakers, fun activities, memory verse ideas, music from the CD, and dynamic outreach ideas. 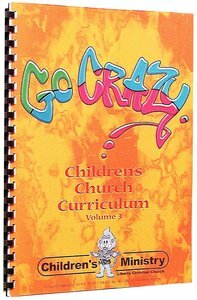 About "Go Crazy: Children's Church Curriculum (Vol 3)"